Iodine-containing contrast material is sometimes used in CT scanning. Patients with a history of allergy to iodine or contrast materials should notify their doctor and radiology staff. The amount of radiation a person receives during a CT scan is minimal. In men and nonpregnant women, it has not been shown to produce any adverse effects. If a woman is pregnant, there may be a potential risk to the fetus, especially in the first trimester of the pregnancy. If a woman is pregnant, she should inform her doctor of her condition and discuss other potential methods of imaging, such as an ultrasound, which are not harmful to the fetus. However, the the radiation exposure during a CT scan may cause a very small increase in a person’s lifetime risk of developing cancer. This concern is often viewed as more important for children, because the cancer risk per dose of radiation is higher for younger patients than adults, and younger patients have a longer life expectancy. Still, the risks of exposure to radiation must be weighed against the benefits of using CT scanning to diagnose or treat illness. CT scanners can be modified to deliver exposures that are more appropriate for pediatric patients. Most doctors suggest that all radiation exposure to patients should be kept to a minimum; those patients that “doctor shop” or repeatedly go to emergency departments for a “CT” put themselves at risk for radiation-caused problems. How does a patient prepare for CT scanning, and how is it performed? In preparation for a CT scan, patients are often asked to avoid food, especially when contrast material is to be used. Contrast material may be injected intravenously, or administered by mouth or by an enema in order to increase the distinction between various organs or areas of the body. Therefore, fluids and food may be restricted for several hours prior to the examination. If the patient has a history of allergy to contrast material (such as iodine), the requesting physician and radiology staff should be notified. All metallic materials and certain clothing around the body are removed because they can interfere with the clarity of the images. Patients are placed on a movable table, and the table is slipped into the center of a large donut-shaped machine which takes the X-ray images around the body. The actual procedure can take from half an hour to an hour and a half. If specific tests, biopsies, or interventions are performed by the radiologist during CT scanning, additional time and monitoring may be required. It is important during the CT scan procedure that the patient minimizes any body movement by remaining as still and quiet as is possible. This significantly increases the clarity of the X-ray images. The CT scan technologist tells the patient when to breathe or hold his/her breath during scans of the chest and abdomen. If any problems are experienced during the CT scan, the technologist should be informed immediately. The technologist directly watches the patient through an observation window during the procedure, and there is an intercom system in the room for added patient safety. CT scans have vastly improved the ability of doctors to diagnose many diseases earlier in their course and with much less risk than previous methods. Further refinements in CT scan technology continue to evolve which promise even better picture quality and patient safety. 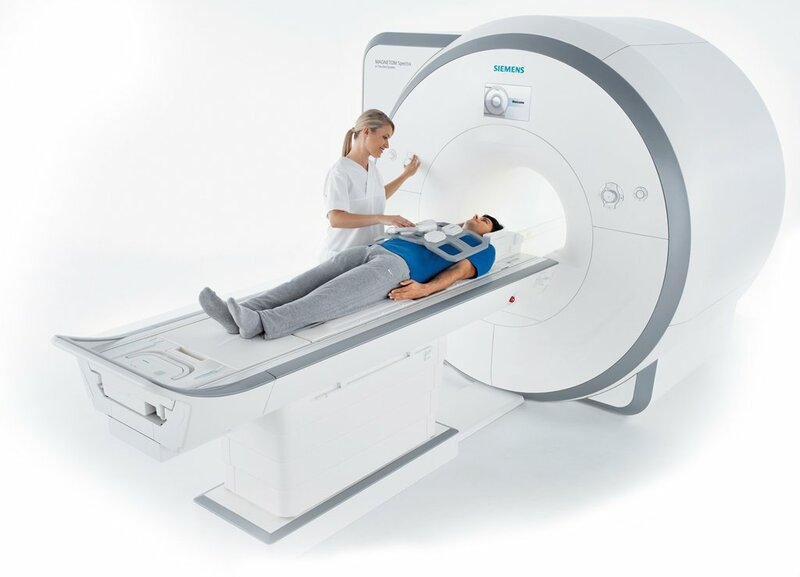 CT scans known as “spiral” or “helical” CT scans can provide more rapid and accurate visualization of internal organs. For example, many trauma centers are using these scans to more rapidly diagnose internal injuries after serious body trauma. High resolution CT scans (HRCT) are used to accurately assess the lungs for inflammation and scarring. CT angiography is a newer technique that allows noninvasive imaging of the coronary arteries.